ConDev is conducting the Migration and Youth Development Study, Phase I: Base-line Data Collection in collaboration with the Sociology and Political Science Department at Universidad Centroamericana José Simeón Cañas (UCA) in El Salvador. 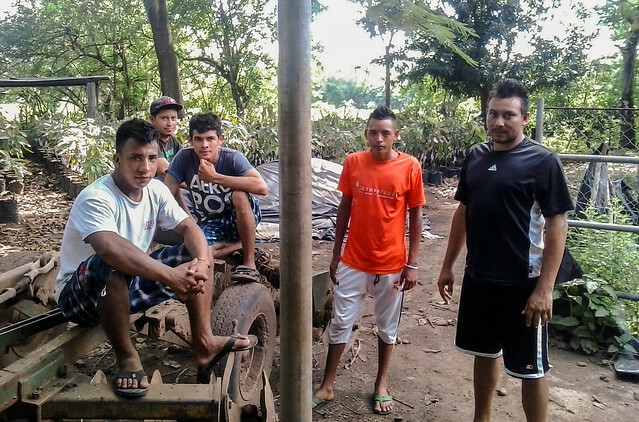 As part of its efforts to create development opportunities as alternatives to emigration and generate a strong desire to “stay rooted” in their country, Catholic Relief Services (CRS) – El Salvador recently started a cacao revitalization initiative in various municipalities of the coast and valleys throughout El Salvador, benefiting a heterogeneous population, within which youth participate. ConDev found pertinent to study the inter-relationship between youth development and migration. Collecting baseline data will allow CRS to initiate a monitoring and evaluation process for its cacao project that will allow impact measurement on the intention that youth have to migrate. The baseline data collection phase seeks to build a body of knowledge regarding five initial topics that will allow CRS to measure future impact of its cacao initiative in influencing youth intention and plans to migrate from selected municipalities: (1) Major causes of migration in the municipality; (2) Expectations before the migration and development of life projects; (3) Expectations of participation in a productive project related to the cacao initiative; (4) Interest in greater opportunities for youth leadership, participation in various community programs, and strengthening of capacity building of youth; (5) Social fabric present in the municipality and potential for greater establishment of “roots” for youth in their communities.